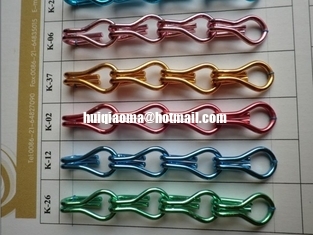 Metal Chain Curtain or aluminium fly screens, made of aluminum alloy wire, is composed of one by one colored chain. It is another kind of new decorative materials in the modern architectural design territory. Our chain curtain can be galvanized with various colors and shows an imaginary and elegant atmosphere for your curtain. We manufacture a range of custom made aluminium fly screens to help protect your premises from flying insects. They are the ideal pest control system for both doors and windows and are available in a range of colours that can be used individually or combined to create a striped vertical pattern. Chain Curtain, With its durable, light, non-rust, prevent bug, versatility, unique texture, variety of bright colors, and Elegant Decoration, are mainly used as curtains, isolation wall, widows screen and has been more used by designer in the interior design. The Chain Curtain is easy to installed on the tracks (with holes). you just open the top chain and hook it on the special track, it is ok. And then you just fix the track on the ceilings or door. 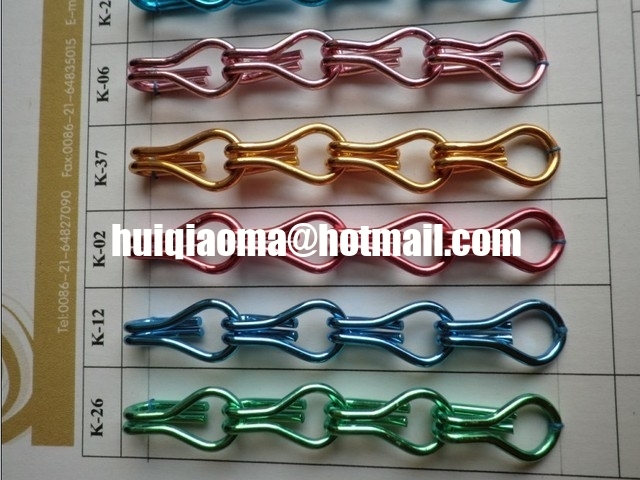 All kinds of color can be galvanized according to customers' required. All kinds of pattern can be get ready according to customers' required.